Today, that honor goes to the Amazon microwave, the box that makes your food hot that you can yell at through the internet. 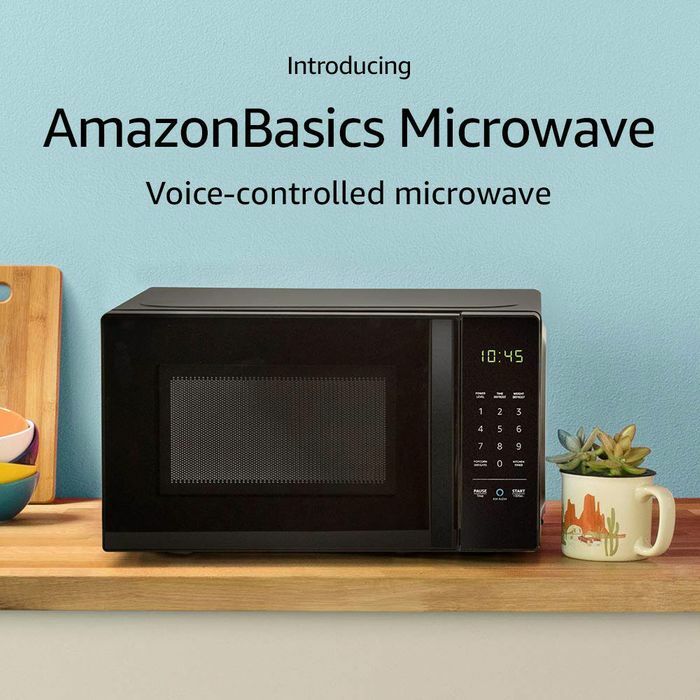 The microwave, sold under the company’s budget AmazonBasics brand, costs $60, interfaces with Alexa-enabled smart speakers, and has a dedicated button for reordering popcorn. Sure. At its unveiling, an Amazon spokesperson said that the microwave as it currently exists is “still stuck in the late ’70s.” That’s fine? I need a microwave to do exactly one thing (make my food warmer than it was prior to being put in the microwave) and all working microwaves can do this. Here is what I do not need it to do: understand my voiceprint. I don’t even want that! Before I get very mad at a microwave, here is one cool(?) thing about it. According to TechCrunch, “Among the other things the company had to solve was the ability to make the microwave work with Wi-Fi signals.” Congratulations, Mr. Bezos. I can nominally understand the appeal of hands-free assistants like Alexa. Controlling the lights or stereo without getting up, finding out the weather without fiddling with your smartphone or laptop, setting timers in the kitchen while your hands are dirty — these are all tasks that can be streamlined with simple voice commands. Microwaving stuff is not one of those tasks. Here’s why: you still need to put the food in the microwave. Like, if I want to heat up some leftover soup, I still gotta put the soup in the microwave — Alexa cannot help me avoid that physical labor. It can, however, save me the effort of pressing three or four buttons. All in all it’s needless convenience. So I’m guessing millions of people are going to buy it.